Media Player Classic Home Cinema is a free audio and video player for Windows x64. MPC Homecinema is now available in 64 bits version for Windows Vista and the new Windows 7 (it should also work perfectly on Windows XP 64bit). Some functions have been removed, because they are not available in 64 bits yet: internal MPEG decoder and QuickTime are not supported, some "tricks" may not work because Microsoft Detour library is not available free for the 64 bits platform. 32 and 64 bits are completely separate world : MPC-HC 64 will use only 64 bits codecs installed on your machine. Version 1.8.6.1 is a freeware program which does not have restrictions and it's free so it doesn't cost anything. For security reasons, you should also check out the Media Player Home Cinema download at LO4D.com which includes virus and malware tests. Additional screenshots of this application download may be available, too. 4.5 out of 5 based on 64 ratings. Media Player Classic - Home Cinema - 64bit has a presence on social networks. 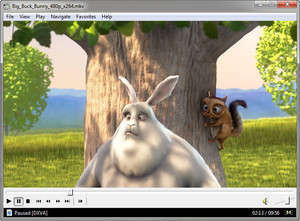 Media Player Classic - Home Cinema - 64bit download been highly rated by our users.